In this April, Tagtoo and Google organized an event that talks about common misconception on digital ads and shares several tips on managing Google AdWords in Kuala Lumpur Malaysia. The sharing was presented by two speakers: Max Tsai, Taiwan Market Manager of Google, and JC Chang, Media Director of Tagtoo. Below is the highlight of their precious sharing. As one of the most valuable companies, Google's success never comes with the sheer luck but choosing the right strategy to collaborate with other enterprises. Google's stock price that rose from around 400 to over 1000 is exactly the proof of their right tactics. The infrastructure Google has built for the past years is not only what makes Google still stands out in the increasingly competitive landscape that's encroached by other tech giants but also the critical backbone that supports million of business around the world to thrive and make money. Similar strategies can also be observed in other tech giants. The same philosophy, being reciprocal, could be applied to any fields to make your business successful. Google AdWords is a very powerful tool to help advertisers make money but meanwhile too complicated to manage for small and medium enterprises. There are up to 100 product updates on Google AdWords every year, which might make managing ad campaigns a challenging job if you don't keep yourself updated. Not to mention most of the e-commerce can afford extra time to take care of ad campaign. Looking for the assistance from experts, like Tagtoo, to manage is the best idea. Even Southeast Asian e-commerce behemoth Lazada turned to Google team for help on Google AdWords. It's more like a win-win and is never a wrong move and the decision that you're going to regret. 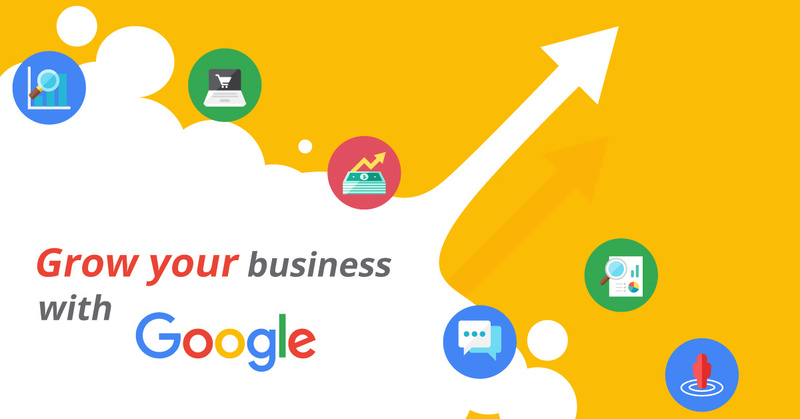 As a certified and trusted partner of Google, Tagtoo is humble and honored to launch Google Shopping Ads(GSA) service before it was officially open to the public. After intensive experiments and thousands of hours effort, we’ve found out amazing performance of GSA. According to Tagtoo engine, our self-built database, we see conversion rate rise 31% and cost per acquisition drop 38% in the fashion industry with the use of GSA in their AdWords campaigns. More importantly, GSA helps earn more transactions from new visitors, 1.8 times than Facebook DPA and 2.2 times of Yahoo Native Ads, by significantly shortening online shopping journey. Undeniably, GSA is proofed to be very powerful to convert new visitors into customers. Dynamic Product Ads (DPA), on the other hand, is the best type of ad to make returning visitors finish purchases because DPA can show the real product that catches visitors’ attention. More precisely, it can help maximize your ROAS if used correctly. As compared to the performance of typical banner ads, we discover that DPA helps save nearly 40% of ad spends and increase the number of returning visitors by 34%. What’s more, 92% of our clients have embraced the power of DPA to help them bring their business to another level. In short, adopting DPA is more likely to make returning visitors purchase and ultimately maximize ROAS. While GSA and DPA are powerful, a better design will make their performance more outstanding. AdChief, Tagtoo’s latest product that aims to provide friendlier design environment for non-professionals, is exactly the thing to help. The adoption of AdChief greatly simplifies banner design in a hassle-free way and helps apply the well-crafted template to hundreds of thousands of products in a second. This is especially helpful for e-commerce that lacks organized design teams. Statistics don’t lie. Our client’s ad performance sees 24% increase in click-through rate and 57% decrease in CPA. Don’t feel frustrated if you couldn’t join our event. There will be more coming up. Like our page to keep yourself posted!